These are the Nintendo Switch games you should add to your collection. The Nintendo Switch has only been out in the wild for a short time, but it's garnered quite the following since it's made its debut. The release library is quite small at the time of this writing, but it’s got several titles you should consider playing if you’re looking for those must-buy titles every new system comes with. While waiting for more of the heavy-hitters to reach store shelves, here are the building blocks of the Nintendo Switch library that you should absolutely consider purchasing. 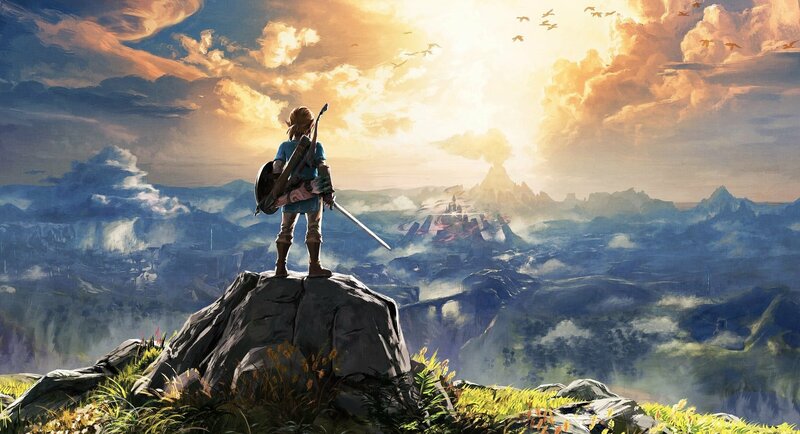 The quintessential Zelda game has wowed everyone from casual fans to series veterans. This isn’t your mother’s Zelda adventure. Breath of the Wild has a little something for everyone, whether you enjoy open world adventuring, crafting, cooking, puzzles, or cool outfits to dress Link up in. It’s one of the greatest Zelda games ever, and it plays like an absolute dream on the Nintendo Switch. video So you’ve got your Nintendo Switch, right, and you’re looking for the perfect game to show off everything it can do. You’ve got parents, friends, and others over who aren’t exactly gamers. How can you communicate to them how awesome the Nintendo Switch is? You pop in 1-2-Switch, of course. Its several mini games run the gamut from silly to outright zany, and perfectly encapsulate what there is to love about the Switch, whether it’s the motion controls, easy way to play with others, or unique and interesting mechanics that have you thinking out of the box. Snipperclips: Cut It Out, Together! Snipperclips is one of the best puzzle games to have released on a Nintendo console in the last year or so, and it’s absolutely genius to play with a friend. You take up the role of two characters made out of paper, and take turns cutting and trimming the other up so you fit specific roles and complete special puzzles. Colorful, quirky and weird, it’s definitely a Switch title you’ll want to spend hours with. The Switch needed a racing game, and it got Fast RMX. It’s no F-Zero, but it doesn’t have to be. It stands on its own with pulse-pounding speed, exhilarating tracks, and racing that just feels great to get into. If you didn’t check it out when it made its debut on the Wii U, you should make it your business to try out this Switch version. The Shovel Knight franchise from Yacht Club Games is a retro gamer’s paradise, especially with the latest release in the series and all of the prior games collected into one "treasure trove." Delight in throwback Castlevania-styled maps with an all-new character, fun side-scrolling action, and other surprises in this love letter to times gone by. You won't regret taking the plunge.